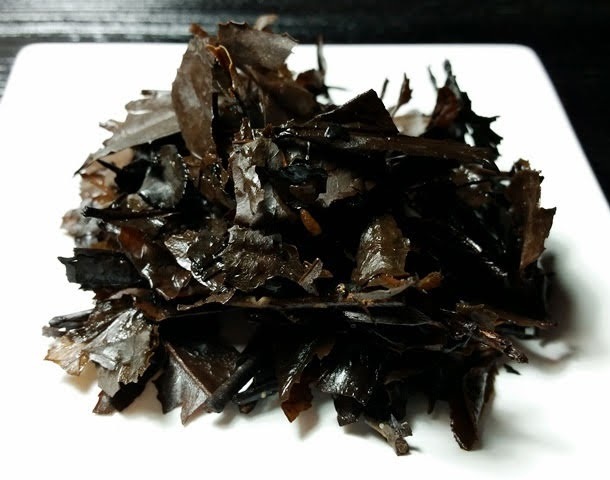 Product Description: Mimasaka Bancha is a tea that is known to have been loved by Miyamoto Musashi, a famous swordsman in the early Edo Period. It is made by using the tea leaves and stems harvested from mid July - mid August. Leaves and stems are boiled in an iron pan. Boiled tea leaves are spread out onto a straw mat. Cooked water used for boiling the tea is sprinkled onto the tea leaves as it is dried under the sunlight, and this is repeated two or three times. 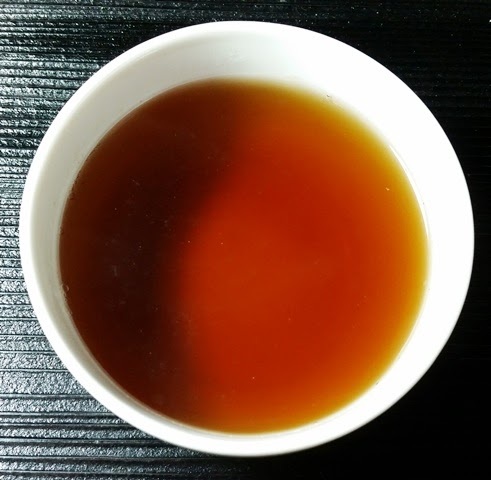 As a result of tea incrustation from the water sprinkled onto the tea, color of the dried tea leaves become amber. 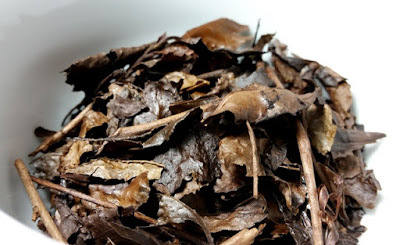 The dry leaves have a sweet aroma of roasted chestnuts, salt, and seasoned wood. The dark red-brown infusion has a rich aroma of chestnuts and caramel with a hint of wood. The taste is sweet with notes of nuts (faintly chestnut-like), caramel, and a faint hint of nutshell. I followed Yunomi's recommendations for preparation, adding 5 grams of bancha to 2 cups of boiling water and simmering for 8 minutes. My kitchen smelled deliciously similar to the roasted nut cart that makes an appearance downtown in December while this brewed and the taste was just as good as the aroma suggested. I'm reminded pleasantly of a chestnut cake (possibly a mont blanc) that I had some time ago.